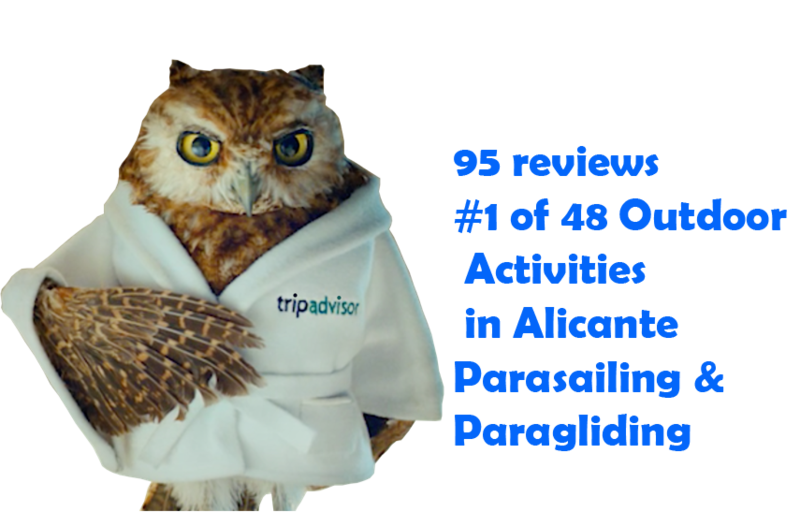 Alicante is one of the best places in Spain to practice paragliding,with a privileged climate you can fly paragliding all year round. 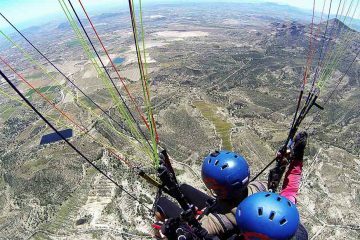 Do not miss our offers: Paragliding Tandem in Alicante, Paragliding Tandem in Benidorm, Paragliding Tandem in Santa Pola. We show you the best way to enjoy an unforgettable moment, you do not need a car, only the desire to have a great time. 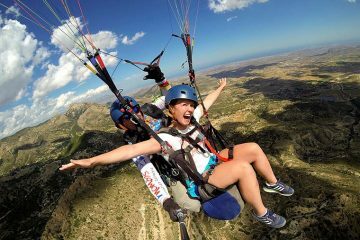 Come with us and give one of the best experiences, flights in Paragliding in Alicante, and you will discover how birds do it. 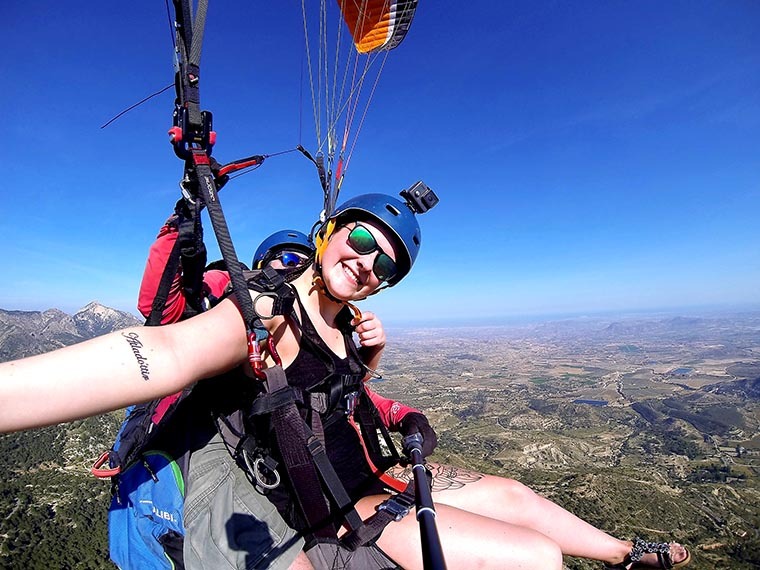 What is a tandem paragliding in Alicante ? 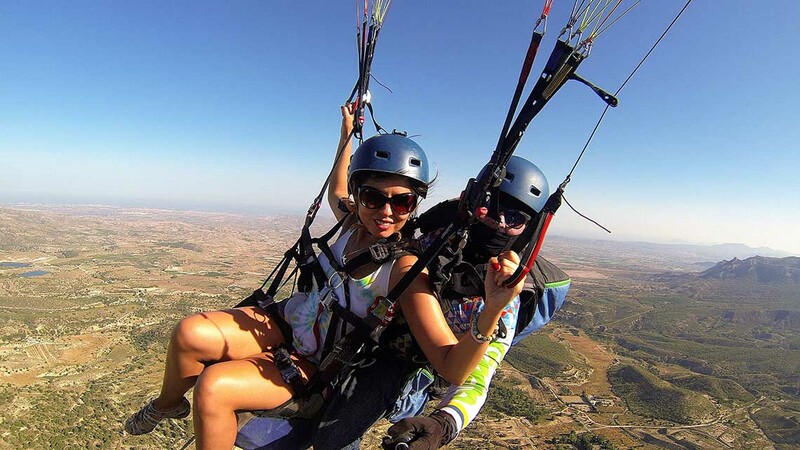 The paragliding tandem is a paragliding for two people where you fly with an instructor (certified with more than 20 years of experience). The Tandem paragliding was completed in three phases. For the takeoff you only need to walk at the beginning and when the pilot has the paraglider in vertical and controlled position you will start a small race, two or three steps and you will be in the air. The tandem paragliding in the air . 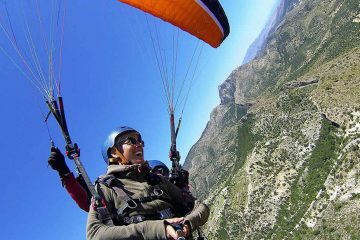 What you should do is just follow the movement of the paraglider, if this goes to the left, you lean to the left, this will help the piloting and prevent you from getting dizzy. It’s the simplest, you just have to lift your feet and the pilot does the rest, for this you have a protection airbag system for landing. In the approach the pilot will ask you to raise your feet, and will do as a swing, at the end of this will stop the paraglider and if the speed is appropriate he will ask you to get up. Where do we meet in Alicante? 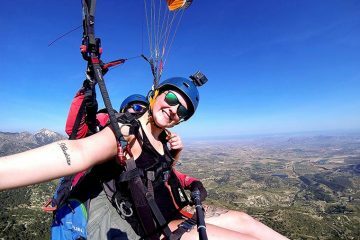 We have the best offers so you can chose from 2 different packs ( pack full ,pack pilot)so you can enjoy your paragliding adventure to the fullest. We fly every day of the week. Paragliding flights with certified monitor (I sports technician, with more than 20 years of experience). 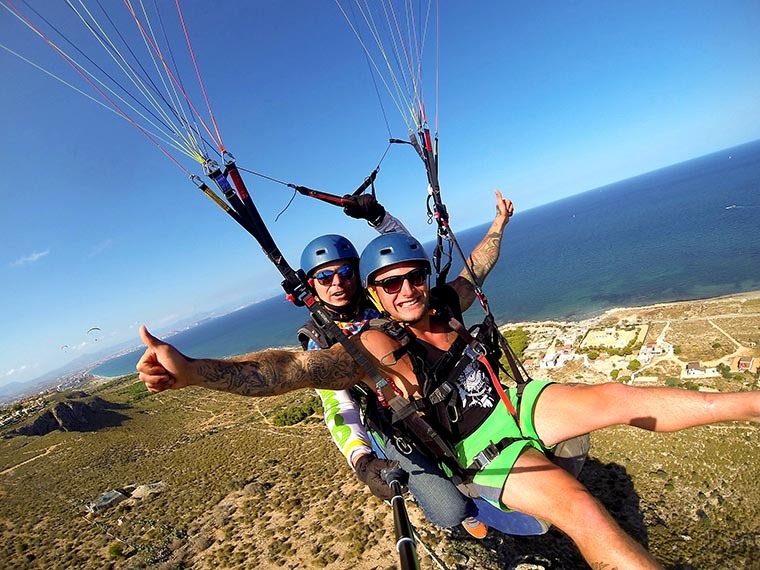 20 to 30 minutes of paragliding flight (depending on the weather conditions but if not reaching the flight time, we repeat it to ensure you live the experience to the fullest). Photos and video available ( extra 20 euros ,we guarantee you the most beautiful photos so you remember your experience). You will pilot the paraglider by yourself (if the weather conditions of the day allow it). Acrobatic flight session (you will feel the G of the centrifugal turns). Own van (which takes us to the takeoff and then looks for us in the landing area). 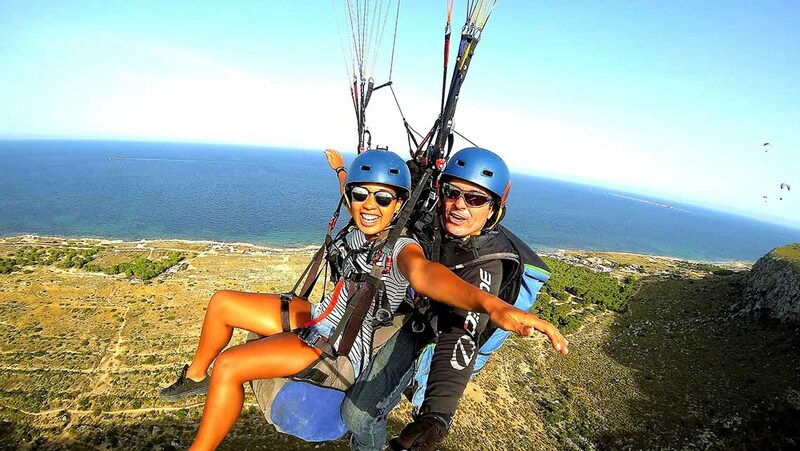 New Equipment and Paragliding Materials (including sail, harness, emergency parachute, airbag in the passenger harness), which guarantees your safety. We will pick up you in Benidorm, Alicante at the meeting points. It is designed so that you do not have a car or just do not want to drive. 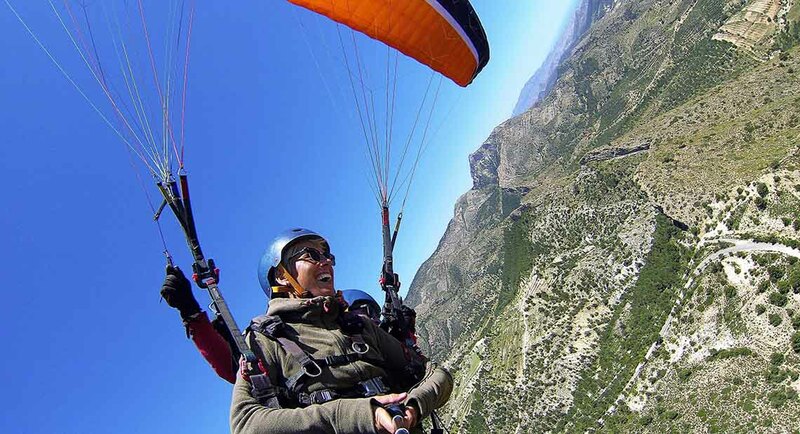 We get in touch with you and according to the weather conditions, we tell you where we are going to fly paragliding, then we are at the flight site. 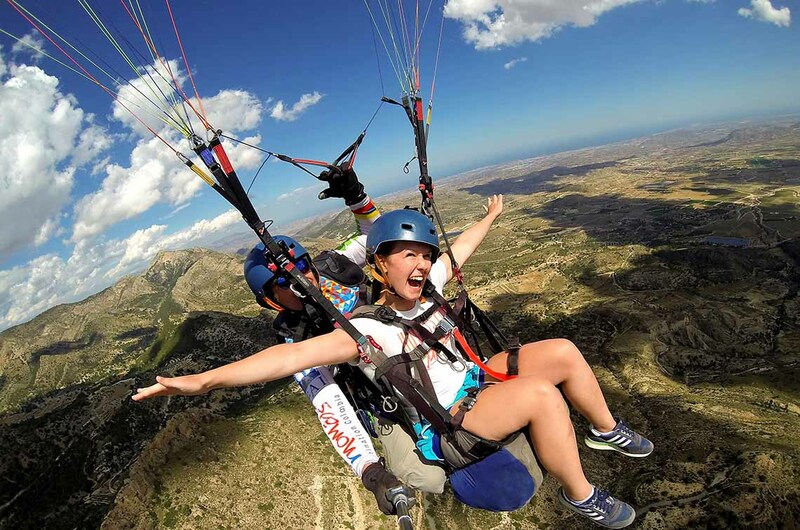 This is the best paragliding flight offer where we guarantee you fly the day you want. 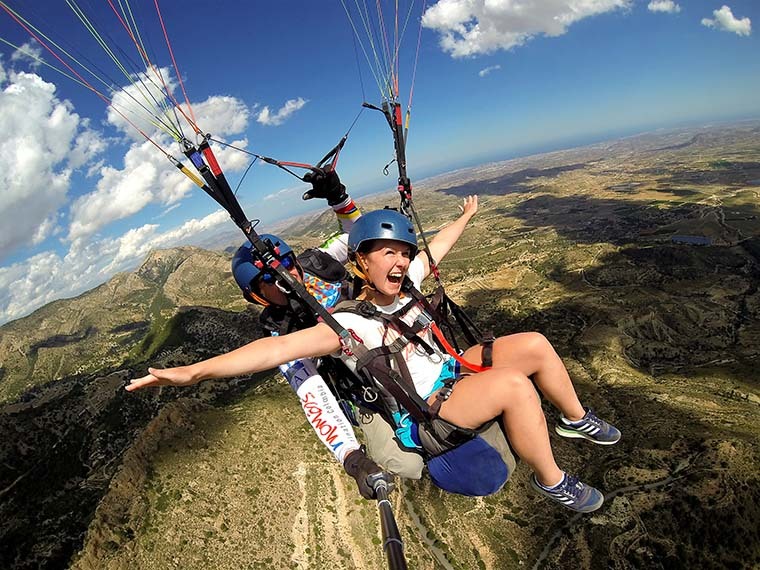 where can I do tandem paragliding in Alicante? We do the activity in a mountain called Palomaret, which is located in the mountains in Agost, a town 25 km from Alicante. 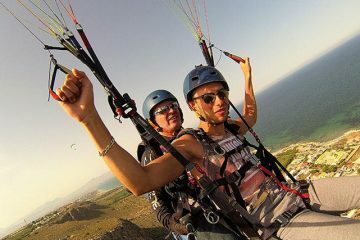 The thermal flight is characterized by being the most natural, like the birds, we use thermal (columns of rising air that are created by the heating of the earth’s surface), in order to climb as high as possible from the takeoff , which is 850 meters above sea level, an unforgettable adventure. In palomaret, you will feel how wonderful this activity is and you will enjoy a charming landscape. The flight in Santa Pola is dynamic, where the east wind comes from the sea facing the cliff and is forced to climb, so we will keep flying in the upward direction of the wind. From the top, we can see the island of Tabarca and the lighthouse of Cape Santa Pola, and below us, the natural beaches of the Mediterranean Sea. 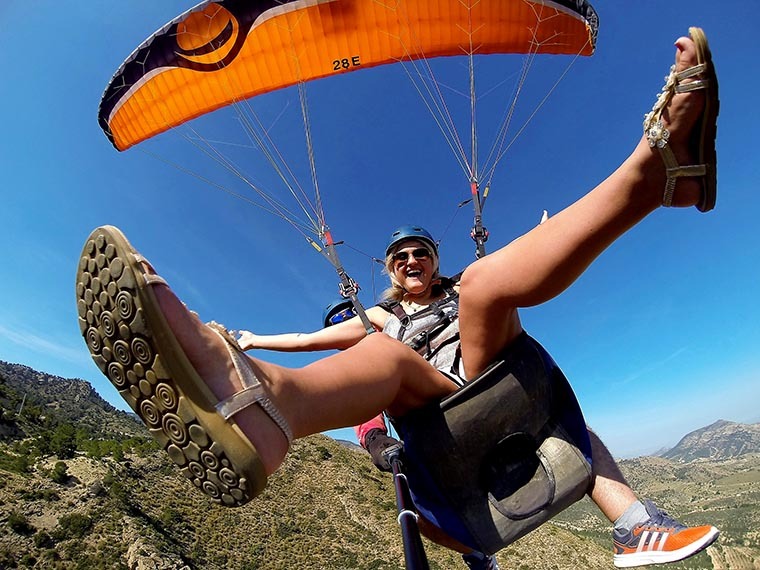 They are lovely flights, relaxing and very appropriate for summer, without a doubt the best activities you can do in Santa Pola.